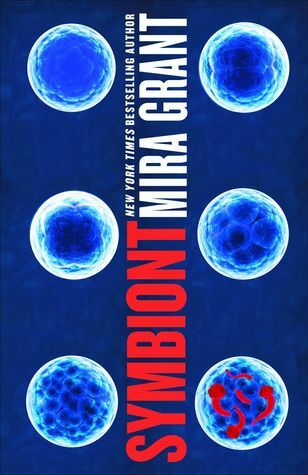 Symbiont is the long-awaited sequel to Parasite, and the second book of the Parasitology trilogy. After the revelations in Parasite, things get increasingly worse in this world where parasitic implants protect people from diseases. This reviews probably contains spoilers if you haven’t read Parasite yet, although I beat around the bush quite a bit. Mira Grant/Seanan McGuire is a fabulous author, and the fact that I love her Parasitology series just as much as I enjoyed her Newsflesh ones, cements her into the position of one of my favourite authors. What makes her stand out from the crowd is that her books are well-research and thoroughly built on a steady scientific foundation, while staying readable and accessible for the public. There is no condescending author voice telling the poor little reader how his awesome inventions work. 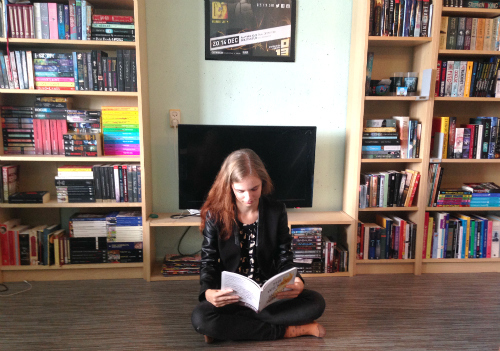 It’s us and the characters, and we are drawn into their world together with them. Sal is different in Symbiont. After the revelations at the end of Parasite she has a hard time identifying herself, and in a way this also changes her actions and interactions. She comes to terms with what she is pretty quickly, but on the other hand, it doesn’t sit well with her. Gone is the innocent young woman we met in Parasite – instead we have new Sal, who has to re-evaluate her beliefs about the world. There is one element which I personally loved, that other readers disliked. Sal has a long-term relationship with scientist Nathan. Even after the happenings at the end of Parasite, Nathan continues to love Sal without restriction. Now, logically, this makes complete sense. But for many people this was incredibly icky and weird and they didn’t like it at all. I applaud the author for taking this direction. This relationship is about love and dedication, and how nothing will stand in their way. It’s not about drama and will-they won’t-they. No, they stay together, no matter what. Even the discovery that the person you loved isn’t exactly what you thought she was doesn’t matter in the grand scheme of things. My only criticism of the story is that it could have been edited just a tad more, so the narrative would have been tighter. Repetition of certain themes and sentences is a Mira Grant staple, but a few of them were superfluous and the book could have done without them. Some readers have also commented on the weakness of the plot. I don’t have much to say about this – I was so invested in the characters that I couldn’t tear my eyes from the page. The Parasitology series is fabulous, and Symbiont a fantastic addition. It won’t work well for many readers, but I’m still completely in love with this series.